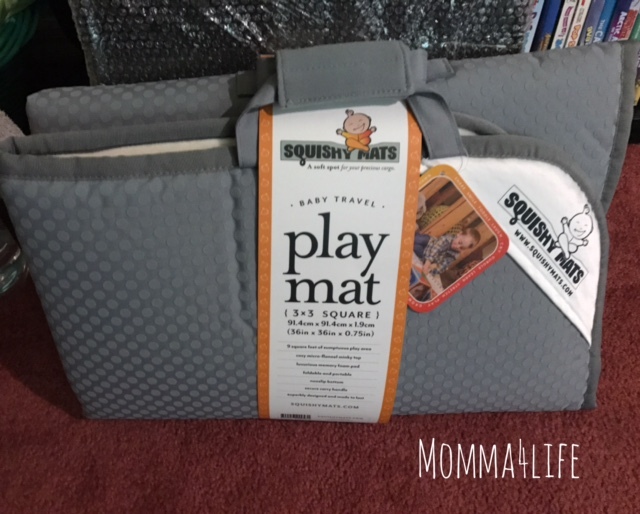 We are loving are Squishy Mats this mat is super comfortable and great for babies. I am going to tell you a little about how squishy mat came to be. 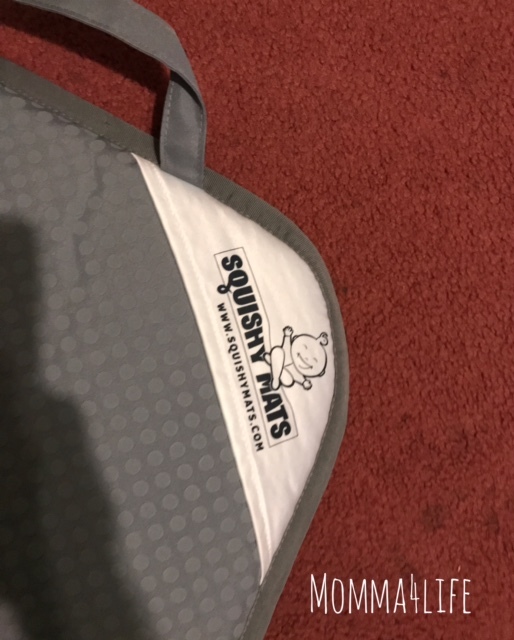 First a little about Shelly who is the creator of squishy mats when her son Declan was really little he was a wiggle worm and to keep him protected from the hard wood floor during playtime in tummy time. Shelly would have all her blankets under her baby but had a dog that didn't always have the best manners and would run around and scatter all the blankets every where. This left her baby unprotecting from the hardwood floors. She needed a solution. Shelley has set out to create a play mat that would protect babies during tummy-time and development and play. This is how Squishy Mats was born. And everything changed from then. Squishy Mats are easily portable, easy to clean, soft spot for all ages. Squishy Mats can be enjoyed by people of all ages no one likes sitting on the hard floor these soft spots encourage grandparents, parents, aunts, and uncles to sit on the floor with the little ones to play. Also, these squishy mats are great for travel outdoor concert, picnics, baby yoga, the park, and so much more. Each Mat is made of almost 1 inch of memory foam, Each Mat is covered with a Minky fabric exterior that mimics the softness of your babies favorite blanket. I am really enjoying this Mat for the kids. As you read before it is for all ages. 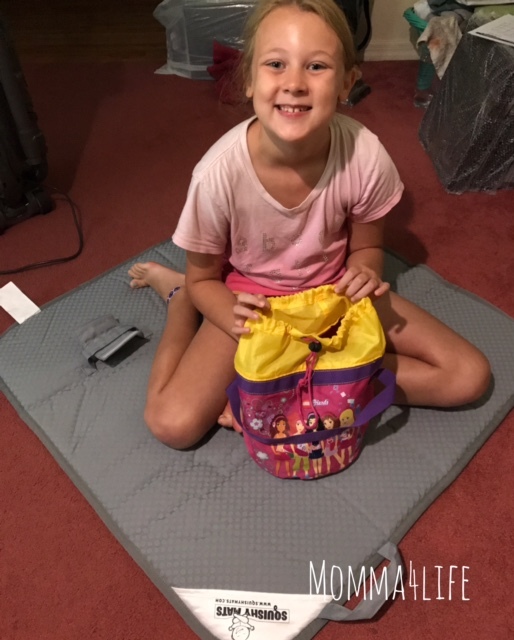 My kids are six and eight years old and absolutely love to put this mat out when they are playing with items such as Legos, tinker toys, puzzles, and so much more. Mainly things that they have a lot of and a lot of pieces.